Welcome to my world. Try not to get lost. Stay as long as you like. Hey there! Thanks for dropping by toastedjamsandwich! Take a look around and grab the RSS feed to stay updated. See you around! It is no secret that I am obsessed with Harry Potter. It is a slightly better kept secret that I pretty much went to Hogwarts. My school had four boarding houses, insane teaching staff and some really good friends. Unlike Hogwarts you weren’t put in a house by a magical rhyming hat but by gender and age (Hogwarts had a much cooler system). Like all the other Harry Potter obsessives I’ve taken all the sorting hat quizzes it the results always baffle me. I constantly flip flop between Ravenclaw and Gryffindor, on a day when I answered the opposite of what I felt I even managed Slytherin. 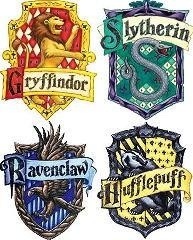 I understand that most people want to be Gryffindors, most geeks want to be Ravenclaws and most bullies want to be Slytherins but what about Hufflepuffs? Why are so many people against Hufflepuff House? Especially those obsessed with sparkling Cedric Diggory, does no one remember that dear old Diggory was a Hufflepuff? 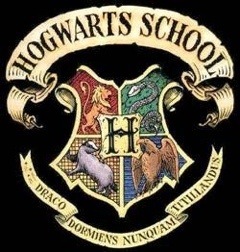 The more I watch or read Harry Potter the more I realise I would want to be in Hufflepuff. Not because of all of the typical ideals held up by all houses but by the pressures in each of the members of those houses. Imagine the pressures on a Gryffindor, you are constantly expected to be brave and chivalrous. You have to live up your housemistress, Professor McGonagall, and you have Harry fricken Potter to constantly overshadow everything good you might do! What about those in Slytherin? The pure evil in your house is immense, you would have to be constantly cunning in order to attempt to impress your housemaster, Professor Snape, and then you would have Draco Malfoy constantly sneering at your pathetic attempts to do outdo his levels of meanness. Although not all of them are evil, Horace Slughorn was a rare nice one. Ah Ravenclaw, you are my second favourite house but the pressures your students must feel seem immense! On one hand you have the beautiful Cho Chang as your housemate and Luna Lovegood could be your best friend. On the other hand even a mean Slytherin, prefect Gemma Farley, commented that Ravenclaws are so competitive when it come to academia that they will even backstab each other in order to get top marks. That is pressure that I would never be able to handle. Hufflepuff on the other hand is underrated, it is always thought to have had the least powerful witches and wizards because of the house founder’s policy of accepting anyone. In reality, Hufflepuff has produced the smallest number of dark wizards and witches than any other house and, second to Gryffindor, the largest number of students staying to help defend Hogwarts against Voldemort. Hufflepuff doesn’t lack in cool students, Tonks was a Hufflepuff, that’s right, Tonks, the incredibly cool witch of awesomeness that was Tonks. There is a lack of pressure to be great on Hufflepuffs, but sometimes the lack of pressure produces greatness. 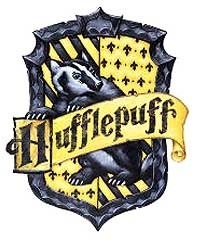 I wish I was a Hufflepuff. NaNoWriMo day six: the importance of research.